Tokyo Gyoza Guide is a blog written by Ryoichi Tsukada, a 38 years-old Japanese man who loves Gyoza, for sharing his passion and knowledge about Gyoza. He has visited more than 500 Gyoza restaurants around the world in his life. He also cooks original Gyoza. Tokyo Gyoza Guide was created in 2010 as a personal note of Gyoza he ate and cooked. Over the following two years, a bit of media attention was received, articles were published by other web magazine, and now Tokyo Gyoza Guide has grown to one of the most popular Gyoza blog in Japan. Then in 2013 he starts writing article of Tokyo Gyoza Guide in English to introduce Gyoza globally. 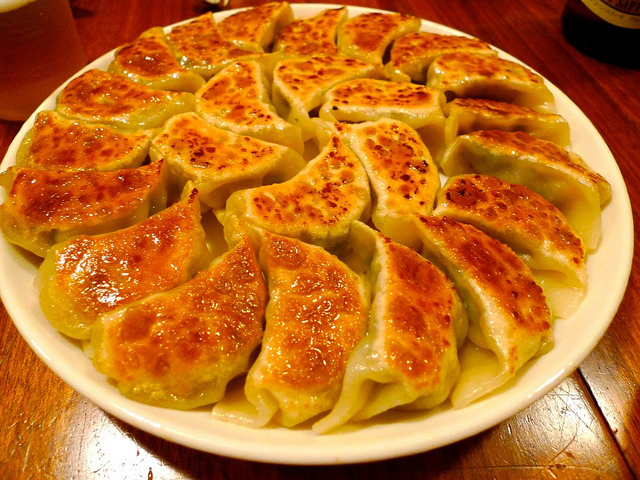 Tokyo Gyoza Guide has more than 500 Japanese articles. However people outside Japan may not be interested in some kind of articles in Tokyo Gyoza Guide so English version of Tokyo Gyoza Guide will have translated articles and original articles.